← Poison for breakfast, lunch and dinner anyone? Posted on September 28, 2012, in Good to know and tagged Big Ang, Bigger is Better, Brooklyn, Mob Wives, New York City, Staten Island. Bookmark the permalink. 7 Comments. I wonder when she’s coming to LA. Big Ang scares the beejesus out of me. If I went to the signing you’d have a partner signing up for ECT. They’ll probably play Al Martino and Julius LaRosa. Huggies. ECT is better with company. Or so I have heard. 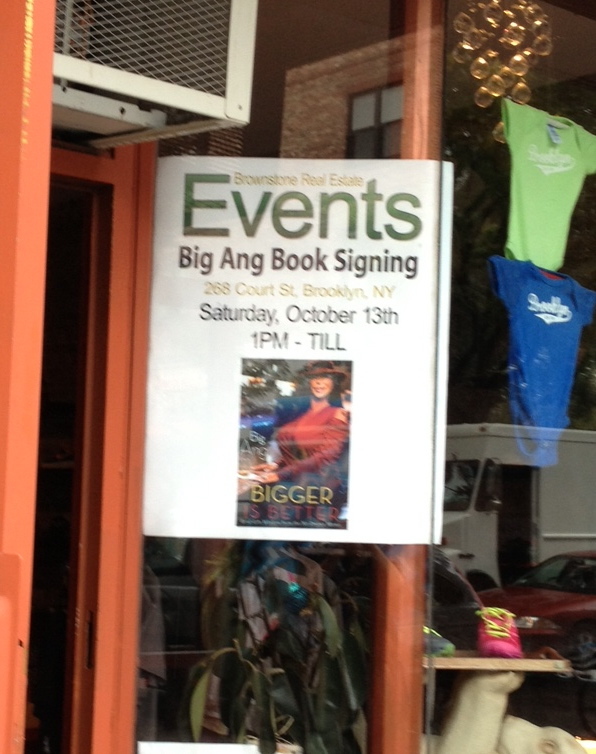 I am completely oblivious to the existence of this alledged “Big Ang.” Might it be best that I keep it that way? It’s not for me to say. Search for her on YouTube and let me know how long you last. Let’s just say, it’s an acquired taste.